Strona główna > News > Nikolay Gryazin won 27th Rally Rzeszów. Grzegorz Grzyb’s Polish Rally Championship (RSMP) round. Nikolay Gryazin won 27th Rally Rzeszów. Grzegorz Grzyb’s Polish Rally Championship (RSMP) round. 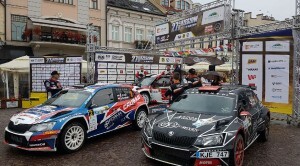 Nikolay Gryazin and Yaroslav Fedorov starting with Latvian licence won 27th Rally Rzeszow. Second place on the podium got Grzegorz Grzyb, who was also the RSMP round winner. 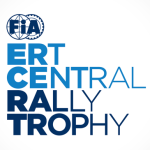 This year Rally Rzeszow edition was 4th round of FIA European Rally Trophy (ERT). Because of this fact, one of top European drivers – Nikolay Gryazin was the rally contestant. 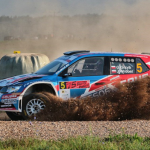 Russian driver was matchless at this round and won 8 of 11 Special Stages. Second in the general classification, Grzegorz Grzyb, lost almost 1,5 min to the winner. Despite of this loss, 2016 Polish champion piloted by Bogusław Browiński, won the RSMP round. 41 yo driver starts both in European, Slovakian and Polish Championship and this is his second victory in this year edition of RSMP. Due to the busy calendar this was his third start in 2018 RSMP season. Third place on the podium and second in RSMP got the duet – Jakub Brzeziński & Kamil Kozdroń. Popular “Colin” was the fastest at Saturday’s LEG 2 of the rally and won 4 RSMP Special Stages. He even bet Nikolay Gryazin twice! 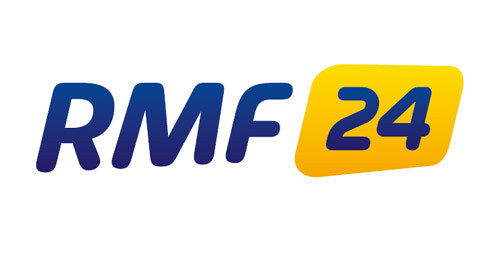 Brzeziński who is the leader at RSMP after LEG 1 was at 9th place because of penalty for incorrect entry to parc ferme. On Saturday he won extra scored Power Stage and beat 6 competitors who were before him. Dariusz Poloński because of Jakub Brzeziński lost 2th place in RSMP round at the last Special Stage. This was his debut on the RSMP round podium, so the Rallytechnology’s driver had a reason to celebrate. Just behind the podium was Mikołaj Marczyk who lost almost 1 minute to Poloński and 10 more seconds to Brzeziński. Wojciech Chuchała, 2014 RSMP champion, who is coming back to championship after break, was the best in OPEN N class. Piloted by Sebastian Rozwadowski, Subaru Impreza STi N15 driver overtook Marcin Słobodzian and Łukasz Kotarba on the finish. Kacper Wróblewski & Jacek Spentany after winning 5 of 6 Special Stages Saturday’s LEG 2 were the best duet in the 4 class. Difference between the second team (Bolek/Jastrzębski) was almost 9 min. Rally Rzeszow was the last asphalt round in RSMP calendar. Next stage in Polish championship is gravel Elektrenai Rally (7-9th September) in Latvia and crowning the season – Rally Poland (21st–23rd September) which will be the European Rally Championship round.